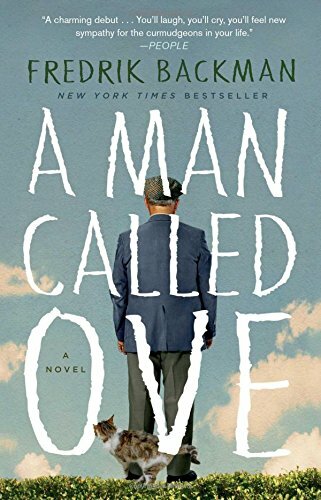 Fredrik Backman's novel, A Man Called Ove, is a story about the grumpiest man ever. I really, really had to struggle to put Ken Follett's enthralling Fall of Giants down in order to read Ove for my next book club meeting. This problem seems to keep happening to me; that is, having to put one book down for a book club book. That's okay though. Part of the reason for joining a book club is to read books you might not have chosen on your own. In the end, I cared. I cared about Ove and how he had come to be such a grumpy old curmudgeon. The cover suggests that reading this book will cause you to feel sympathy for the curmudgeons in your life, which might well be true but I am so very glad to say that I do not know anyone even a little bit as grumpy as Ove. He is, as Amazon says, "the bitter neighbor from hell." Ove complains about everything. He is a strict believer that rules are meant to be followed, signs obeyed, things put in their place. If you do not feel the same way, be prepared to hear about it. He rejects most of modern technology believing computers, mobile gadgets and even modern vehicles to be bad news. He has strict routines and principles to be adhered to. Despite Ove, or perhaps I should say because of Ove, A Man Called Ove is an entertaining book. It tells his life story and the story of the people who become his friends despite his off-putting personality. It does a good job of illustrating how one life affects the next and then the next. Believe it or not, I would RECOMMEND this grumpy old man’s story. You will laugh and you will cry though I do remember laughing more than crying. There were a number of surprises in this book. The one that bothered me is the age of this grumpy old man. I was jaw smacked when I finally found out how old he was and I see from other reviews online that I am not the only one who takes exception to the age that author Backman set for a grumpy old man. If you pick up and read A Man Called Ove, be sure to come back and let us know what YOU think about Ove’s story (and about his age.) You can find it quickly and affordably priced on Amazon by clicking right here. 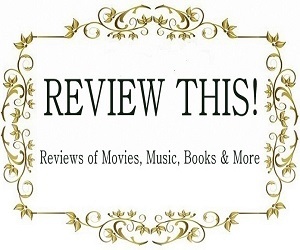 If you are looking for more books by Fredrik Backman, you might like to check out this review of My Grandmother Asked Me to Tell You She's Sorry by another contributor here on Review This. The One Man by Andrew Gross. 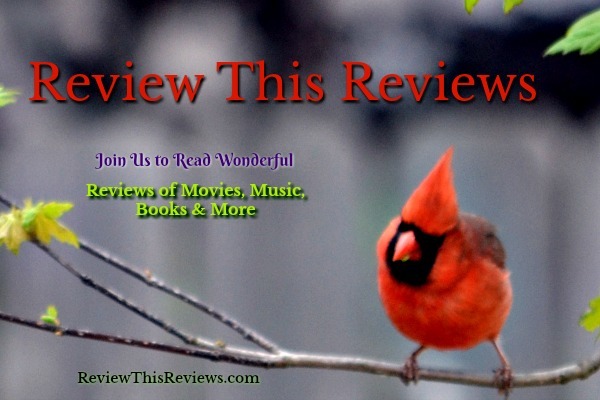 Today's review is for the first book in a new mystery series called Irish Village Mysteries that I literally stumbled upon last week. I wasn't familiar with the author but decided to take a chance and I am so glad that I did. 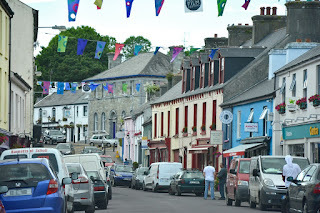 The first book in this two book series is: Murder In An Irish Village. 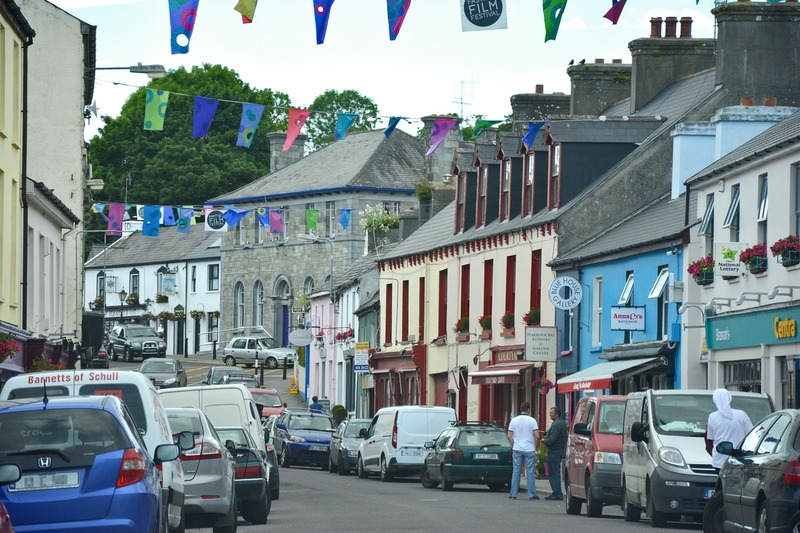 The story takes place in County Cork, Ireland in the small village of Kilbane. The O'Sullivans are a family of six children who lost their parents a year ago in a tragic auto accident. Since that terrible day the kids, led by 22 year old Siobhan, have kept the family business running. The business is a little bistro that their parents started called Naomi's Bistro. They serve breakfast and lunch in the small shop and live upstairs over the eatery. The book has a most delightful cast of characters! The children are so very believable with the sibling arguments that any family has to encounter. The youngest is a 10 year old little boy who is just hysterical in his antics and not knowing when to rein in his words. He just blurts things out at the most inopportune times. Just like most 10 year olds. Siobhan is smart, funny and quite the little sleuth. Her older brother James has been accused of murdering Niall in their family bistro and she is determined to find the real killer so that her brother can be set free. Now Niall was a bad sort! 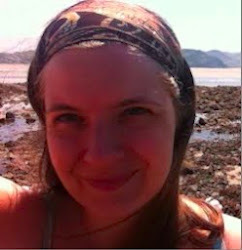 He tried to extort 10,000 euro for Siobhan just before he was killed. Was he blackmailing others? Our fiesty little red-haired gal is determined to get to the bottom of this mystery. 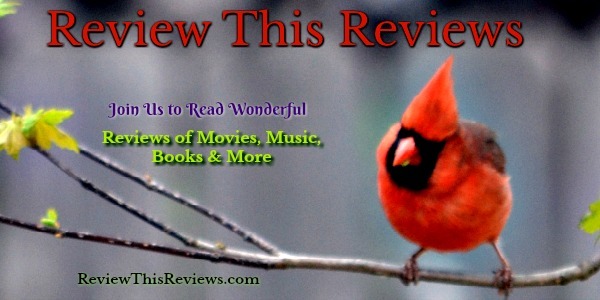 I just absolutely loved the setting, the plot and the characters in this book. There are several twists and turns and I have to admit that I was surprised at who the murderer turned out to be. I liked the realism of the bungling attempts of 22 year old Siobhan as she tries to solve the mystery of Niall's death. She isn't exactly subtle in her questioning sometimes but then again she is young and wouldn't have the experience that an older person might have. I also loved that Carlene O'Connor used real Irish slang in the conversations between the characters. There is a glossary at the beginning of the book that gives you the meanings of some of the phrases that might not be part of your own vocabulary. Ms. O'Connor also helps with the pronunciation of the very Irish names of the O'Sullivan kids. Like Siobhan...that is pronounced shi -vawn. She has a brother named Eoin which is Owen. That impish little 10 year old is named Ciaran which is pronounced Keeran. It is well worth looking through those pages before the story begins. I plan to read the second book in the series, too. 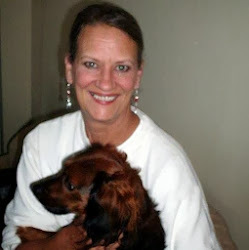 I found the writing of the author very entertaining with her well rounded characters and fast pace twists and turns as she unfolded the story. Very well done! Memorial Day is a day set aside each year to remember those who have lost their lives while serving their country in the armed forces. The meaning of the day can easily become lost in the long weekend filled with barbecues and beer. Or become confused with Veteran's Day, with which we greet our living armed forces folks with a "Happy Veteran's Day". Political disagreements can threaten to erode the meaning of Memorial Day altogether. 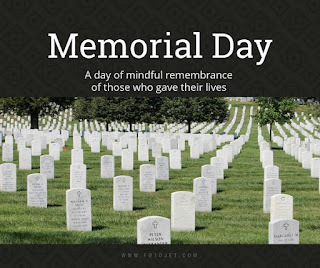 As a result of all of these things, and with utmost respect to those willing to sacrifice so much for my protection and freedom, I choose to spend Memorial Day in mindful remembrance. As a grateful Army mom, whose sons both returned from deployments, I have decided this year to intentionally know about someone (or multiple people) who have given the ultimate sacrifice. I wanted to put real names on this holiday in order to honor them and their families by keeping their memories alive. I chose to read World Changer: A Mother's Story: The Unbreakable Spirit of US Navy SEAL Aaron Vaughn by Karen Vaughn. Overnight, I've read 75% of the book. Karen tells us of her son as a child, an adolescent, a young man, and finally a Navy SEAL. 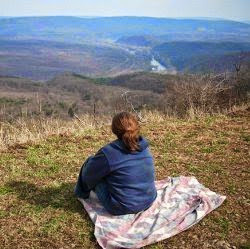 She tells of her perspective of parenthood as a Christian and of her faith in God. She describes her mother-son bond and how that bond is broken when the helicopter is shot down, killing all on board - including members of Navy SEAL VI - including her son. She writes with such honesty of the moment that my chest hurt as I sobbed. 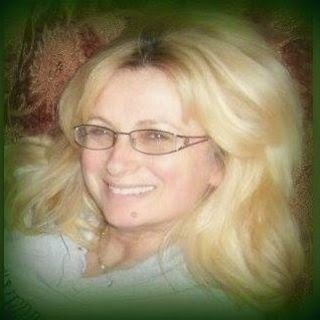 Despite the great loss she and her family have endured with the loss of her son, there is somehow peace in her writing. There is no asking for pity, only a quiet strength. I'd imagine she attributes that to God. 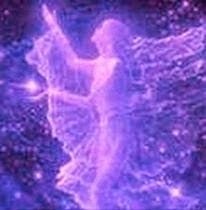 She is a good witness to those of us who are not as convinced of such an active force in our lives. 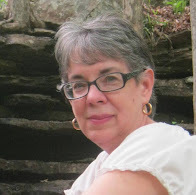 In this book, Karen Vaughn memorializes her son in a beautiful way. 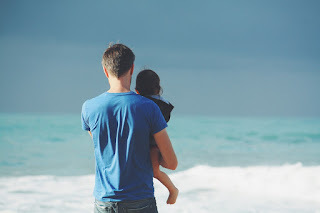 She describes his childhood antics, his school-aged years, and his move into being a husband/father a such a loving way - without being overly syrupy. I definitely feel as though I know who Aaron Vaughn was in life. Even if you don't agree with the politics of a particular President or the reasons a specific war has occurred, the United States of America is what it is in large part because it has been participating in battles for over 200 years. I guarantee there has been someone, in some conflict, who has supported or protected your interests. On this Memorial Day, I am focused in my thanks to those individuals who were willing and able to do what I am not. Today, I am mindful of those families who have lost a loved one in the defense of our country. Updated: I have become aware that immediately following the launch of World Changer, Amazon's link to purchase hardcovers went down. I am not aware of the reason why but want to make sure that I provide my readers with an alternate link for the purchase of World Changer in hardcover. 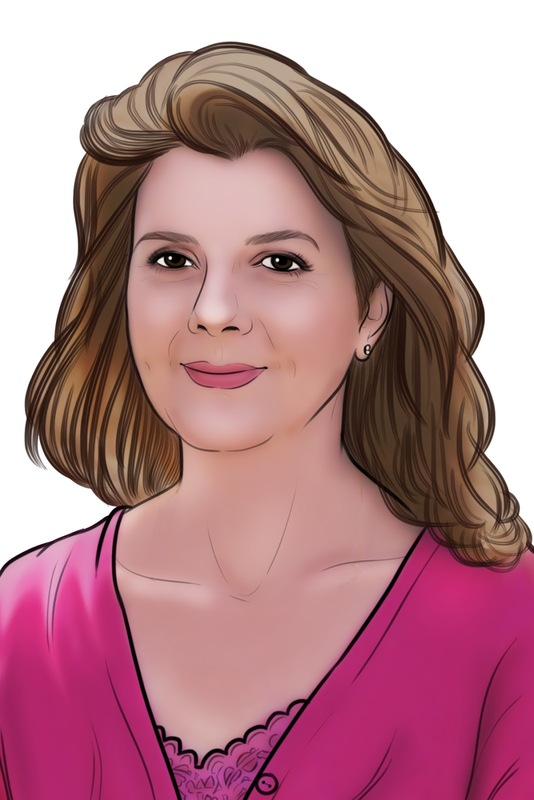 In the event the Amazon link goes down again, please refer to Karen Vaughn's official website to make that purchase - Official Karen Vaughn World Changer site . You don't have to spend a fortune building book shelves or adding expensive wood to a room in order to create your book themed space. Instead, add these artistic reading inspirations. If you've ever wanted to make a statement with your décor, a faux book shelf on your staircase is the way to do it. Hey, money permitting, take it to the next level and create real bookshelves on the backs of the steps. However, if that kind of investment isn't in the cards, be sure to check out how affordable stair art decals are. 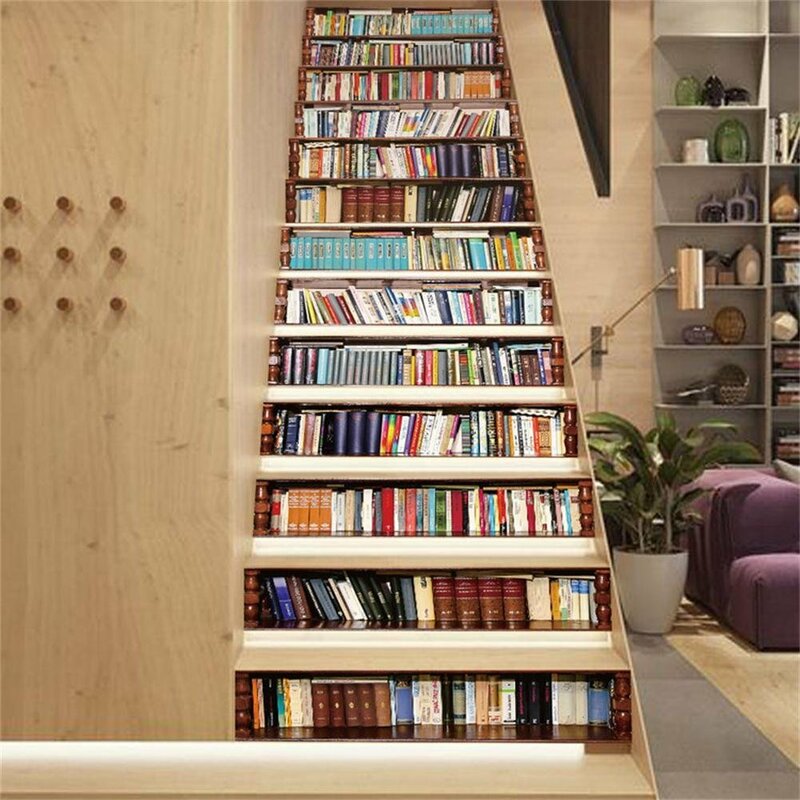 If you love color, books and decorating in a non-traditional way, this stair decal is calling your name. It's easy to put up; simply peel and stick. However be sure the surface is clean, dry and smooth. Count your steps first as it comes with 13 pieces. If you have more than 13 stairs, you'll have to order two sets. Also, another nice feature is it's retro nostalgic paper style verses a more modern high definition effect. If you're looking for a more traditional book-shelf art, this works. This handcrafted Design Toscano Lord Byron Wooden End Table is stunning in it's craftsmanship and artistic elegance. If you're not familiar with Design Toscano pieces, you'll be pleasantly surprised with their exclusive home décor sculptures, statues, wall art and furniture. This unique book side table is merely one of over 6000 items available through Design Toscano. 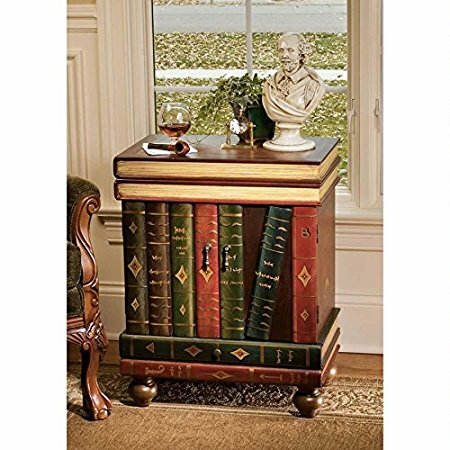 The book side table has a two door opening and a pull out drawer on the bottom. The two-book look on top finishes the overall appearance and gives the piece it's elegance. It's surprisingly affordable when you consider that each piece is individually handcrafted by Artisans. Take your love of books to the next level, the easy way. 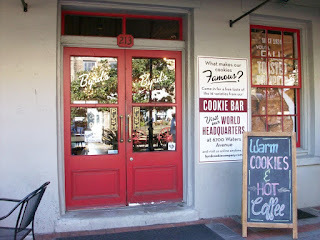 The Byrd Cookie Company has been an established company in Savannah, Georgia since 1924. At that time, Ben T. Byrd, Sr. began baking small batches of cookies from his bakery, packing them in wooden crates, and personally delivering them to neighborhood markets in his Model T Ford. 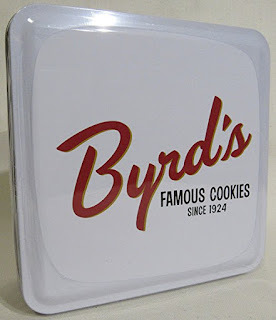 Later, Ben's son, BT Byrd, Jr. had the idea of packing these bite sized confections in tins, so that they would travel better. It wasn't long before Byrd became a gourmet food company, shipping cookies to other markets outside Savannah. By then, Byrd, Jr. had become known as "Cookie" Byrd! Cookie Byrd's daughter Kay, and her husband, were the third generation of the Byrd family to run the company and today their daughter Stephanie continues with the 91 years of baking the famous Byrd cookies. Each generation has developed new recipes and innovative ideas and the company has expanded its marketplace worldwide. Their “recipe for success” includes its continued tradition of hard work, superior product quality, and outstanding customer service. They continue to bake in small batches to deliver the superior cookies their customers expect. 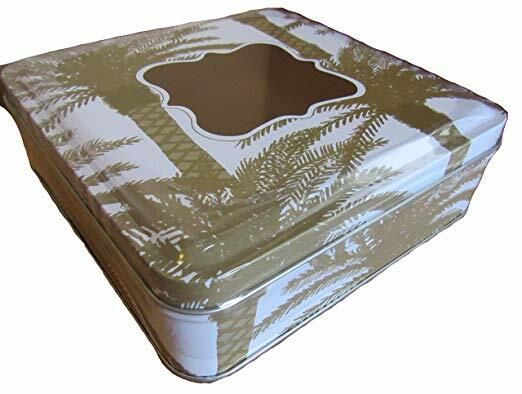 The classic Byrd Cookie is it's Scotch Oatmeal cookie currently available in this Palm Tree Gift Tin. 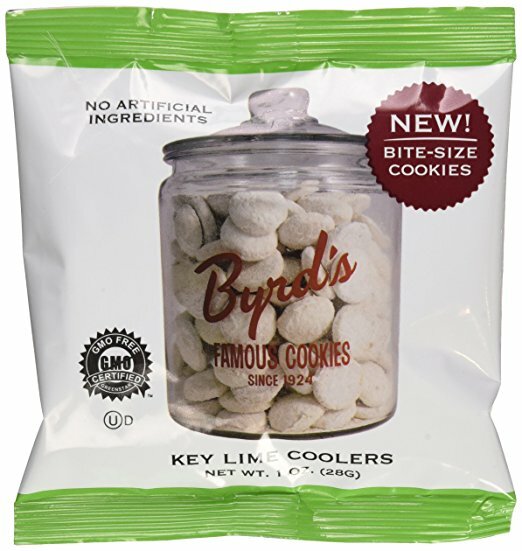 To this day, the Key Lime Cooler cookie remains the company's best selling cookie. It is the first cookie to ever win the Dessert of the Year award at the NASFT Fancy Food Show. The Key Lime Cooler is a thin bite-size cookie bursting with the same deliciously tart-but-sweet flavor as key lime pie. This classic cookie has a powdered sugar coating. This award winning 'Flavor of Georgia' cookie has a sweet Georgia peach taste. Byrd takes the tangy goodness of a tree ripened peach and coats it with powdered sugar with a flavorful sweet cream taste. This famous Savannah company is located virtually across the Savannah River from the South Carolina Low Country, which includes the coastal area from Myrtle Beach to Charleston and Hilton Head. Thus, having a Byrd cookie named for the Low Country fits right in with this area. 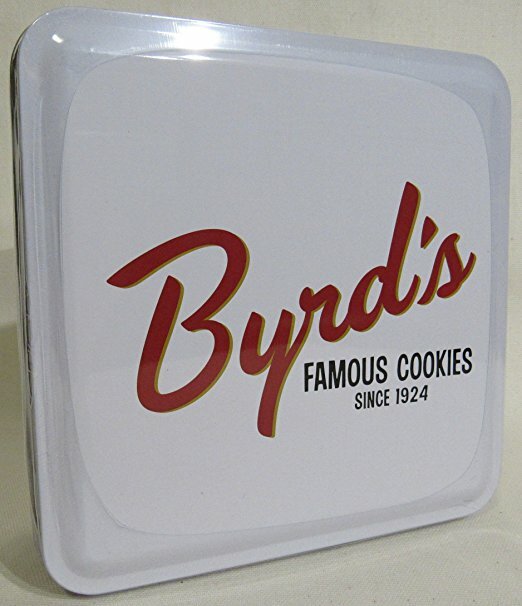 Byrd's Famous Cookies Of Savannah include these favorite bite-sized cookies of the Low Country. They come in a gift ready Post Card style 6 Oz.Tin and include the Key Lime Coolers, Georgia Peach, Benne Wafers, Almond Shortbread, Chocolate Chip, and Scotch Oatmeal. 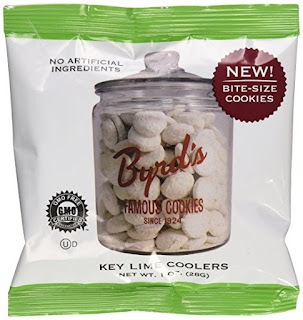 For a list of all the current flavors of Byrd's Famous Cookies, Click here on their Website. 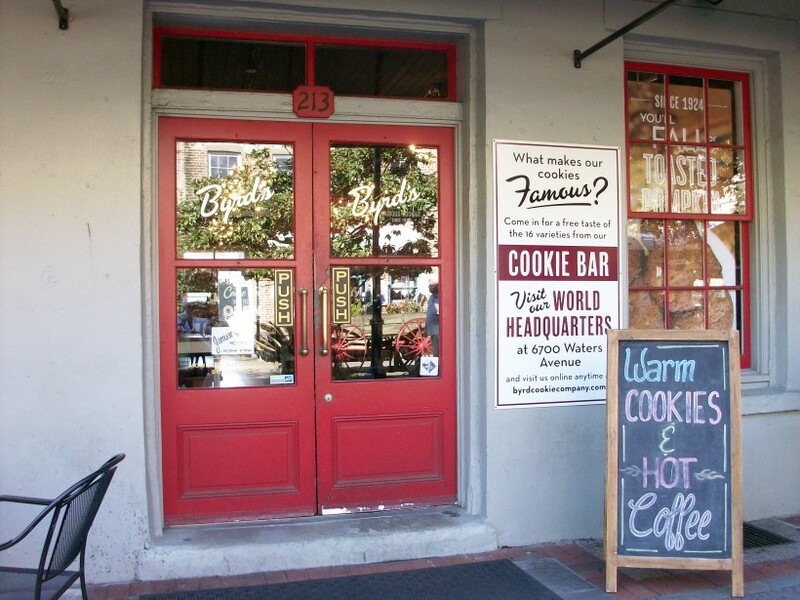 The flagship store is located at the bakery at 6700 Waters Avenue in Savannah and other stores are located in City Market in the Savannah Historic District and on the famous River Street located along the Savannah River. You can shop for a selection of gifts, gourmet items, and curated selection of boutique wines. In addition, of course, to all the cookie flavors Byrd is famous for. Take a tour of Byrd's Bakery when you visit Savannah, Georgia. You will be able to smell the cookies before you even enter the door. Whether you are a tourist visiting the city or locals who want to arrange field trips for school children and Scout troops, it's a fun tour. 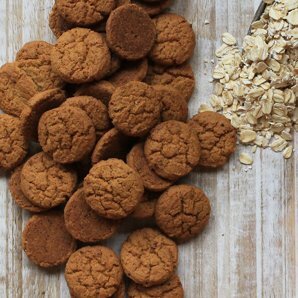 You'll get to know the history and legacy of this multi-generational cookie company on your guided tour and delight in lots of cookie tasting! Tours are available Monday-Friday 10AM-4PM and a tour can be booked in advance by emailing stacy@byrdcookiecompany.com or call 912.721.1551. May your cookie jar never be empty! I rarely get very excited over boxed food, but this Hidden Valley Pasta Salad mix caught my eye when I was in the grocery store a few weeks ago. With the hot weather of summer fast approaching, the idea of a cold pasta salad was very appealing. I thought, why not? I'll give it a try. Worst case, I wasted a few dollars and end up tossing it in the trash. However, I was pleasantly surprised! 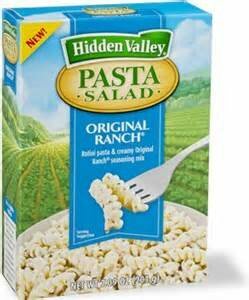 HIDDEN VALLEY PASTA SALAD ORIGINAL RANCH 7.9 OZAs it turns out, this is by far the best pasta salad I have ever tasted, bar none. It took less than 15 minutes to cook the pasta, stir in the sauce and add the required mayonnaise and milk. With the first bite, I was absolutely shocked at how delicious it tasted. I couldn't eat all of the pasta salad I made that day all at one time and I wasn't about to throw it away. I put the leftovers in the refrigerator. For the next two days I ate the leftover pasta salad for lunch. In fact, it was even better the second and third day after the ingredients had "married" overnight. Plus, after being refrigerated, it was cold and made for a very nice lunch on the warm days that followed. I'm pretty excited about the discovery of the Hidden Valley Pasta mixes. 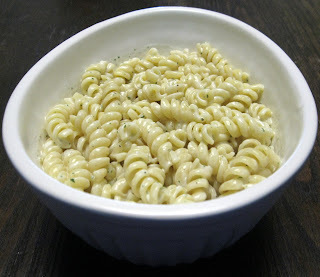 For this first adventure, I made the Original Ranch pasta salad. But, I will definitely be trying the Southwest Ranch next. Not only is it great for my own lunch, but I would willingly serve the pasta salad for the holidays, at a ladies luncheon, or as a side for dinner. It is always nice to have something fast and easy to prepare whether I am cooking just for myself, feeding my family, or entertaining guests. For lunch, I prefer pasta salad without meat, but you can add ham, bacon, chicken or other chopped meat in with the pasta to make a fabulous dinner. Or, you might want to add fresh vegetables instead. How do I know it would be fabulous? Because the base pasta salad is fabulous, so adding a tasty meat or fresh vegetables would simply give it a new twist. This is likely to be the easiest pasta recipe ever! My grandmother originally introduced all of us to this fast and easy recipe decades ago. 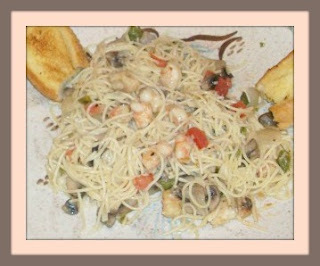 Buttery Pasta and Shrimp Recipe Review - On Review This! This shrimp/pasta buttery combination has become a standard for company dinners and has also become a family favorite for Christmas Eve dinner every year. 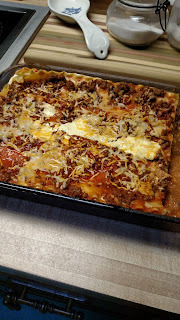 TexMex Lasagna Recipe Reviewed on Review This! 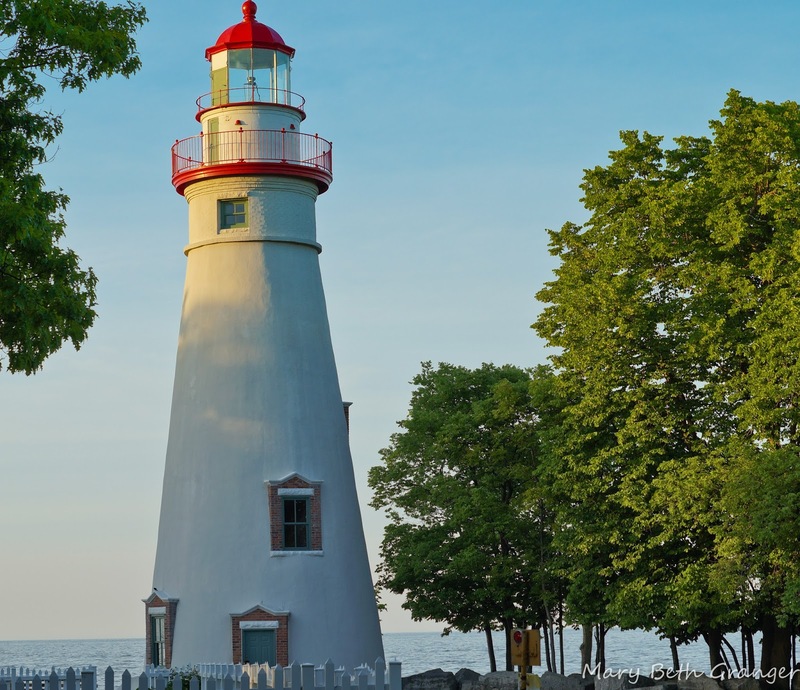 I thoroughly enjoy traveling and visiting lighthouses and when it comes to reading, historical fiction is my favorite genre. So, when my daughter found this book about a lighthouse that takes place in the eighteen century it was the perfect gift for me. This book is the first of the Saint Simons Trilogy and after reading it I am anxious to start on the next in the series. This book is set in the early days of the United States. It follows the life of a young man from his home in Massachusetts, to his travels to what is now Maine, Florida and finally Georgia. It starts out talking about Shays rebellion and follows history through the early 1800's. 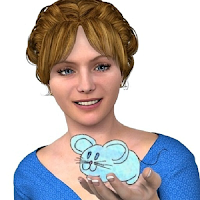 Although it is a fictional story, the author did a lot of historical research and the main character along with several of the other people in the story were real people. James Gould is a young man with a dream that he carries throughout his life. He is raised in Massachusetts, but longs for the warmer climate in the lands of the south. His other dream is to someday build a lighthouse. He has plans that he has drawn for a lighthouse that he carries with him through the years, hoping that one day he can make his dream come true. In the book you follow James life as he feels responsible to care for his mother and siblings and you root for him as he searches for a way to follow his dream first to the north to Bangor on the Penobscot River where he makes a living to support his family, then to the south and lawless Spanish East Florida. Along the way he meets a strong woman with whom he can share his dream. The characters are very compelling and I found myself thinking about the book and looking forward to picking it back up whenever I needed to stop reading. I love the way the author takes real people in history and weaves them into the story. It is also interesting to read about places I have visited such as Savannah and St. Simons Island and imagine what they were like in the late 1700's and early 1800's. 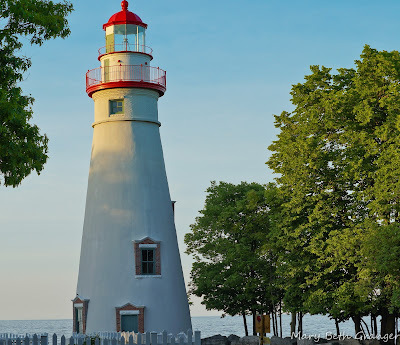 Of course, I am very partial to lighthouses and the building of the lighthouse and then the care of the structure was the highlight for me. It is hard to imagine the hardships early Americans struggled with during the beginning of the country. This book is a real page turner and has my recommendation for anyone who enjoys historical fiction! I visited St. Simons lighthouse several years ago, but now that I've read the book I'd love to visit again. I think it will be much more meaningful after I've learned about the builder and his dream of the lighthouse. Below is a Zazzle card I made from my photo of St. Simons lighthouse. You are 33 years old, healthy, and in the prime of life. You have a great job in an advertising agency as a copywriter. One day at work you have a massive stroke and nothing is ever the same again. That's what happened to Maureen Twomey. 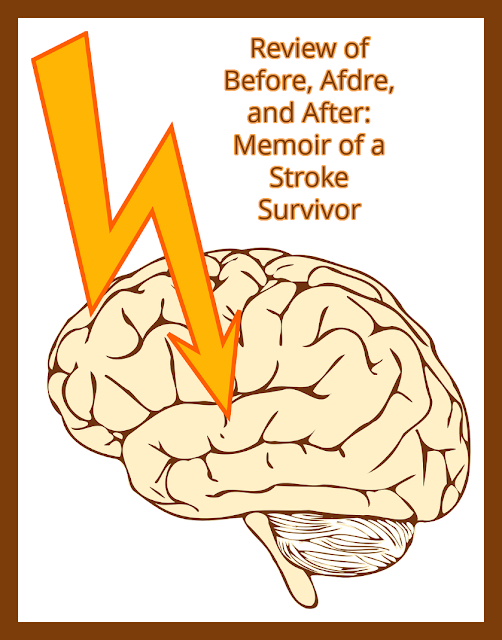 It's a miracle she survived her stroke and recovered enough to write Before, Afdre, and After (My Stroke...oh what fun). 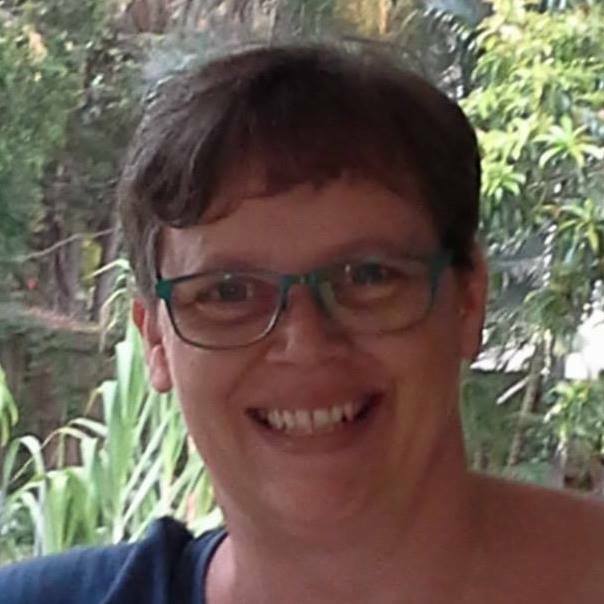 Maureen's story is one of courage, the support of friends and family, and dedicated doctors and therapists. 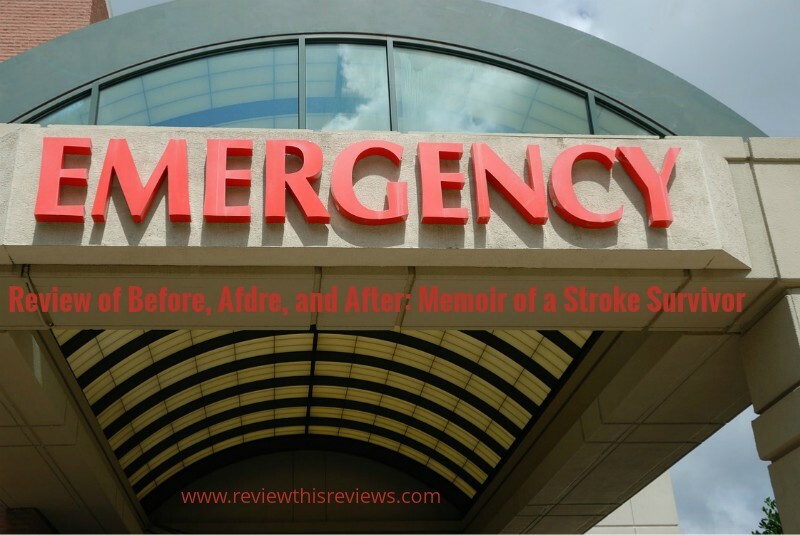 It's a must-read for anyone who knows someone or is caring for someone who is recovering from a stroke. 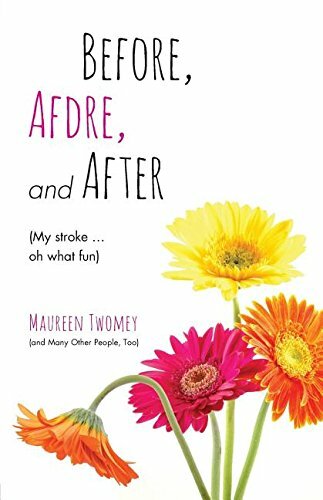 The book opens as Maureen shows us her life before the stroke. 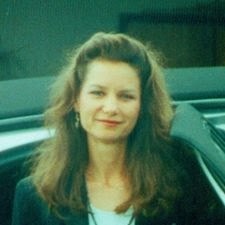 She was born and grew up in California, graduated from UCLA as I did (but much later) and got some great jobs in advertising. At the time of her stroke, she was working in the Bay Area. She had oodles of friends and an active social life. She was taking a class in improvision, which she loved. She was known for her sense of humor. The stroke could not kill that in her. 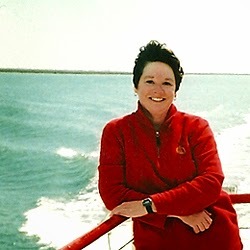 Maureen was at work the day she had her stroke, June 6, 2000. The first symptoms manifested while she had taken time away for an appointment with a dermatologist who saw her after 2 PM. She started to feel funny. 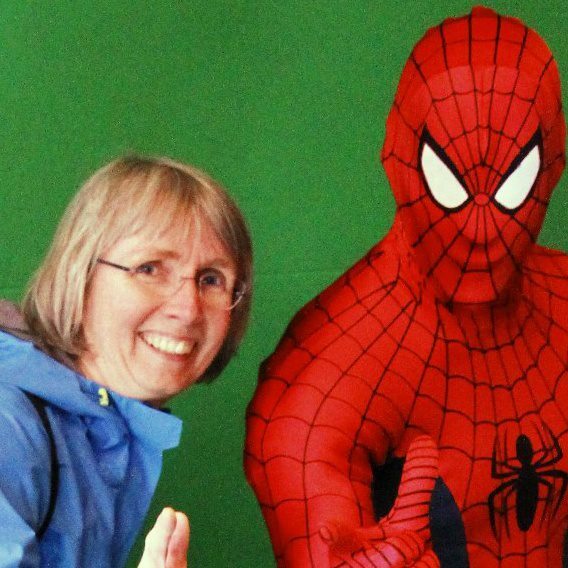 Her right eye was flashing, but a few seconds later she felt better and walked back to work. It was there her coworker Amy found her crying in the hallway outside her office because she is anxious about her symptoms. The flashing lights in her eye are back and there is some tingling in one side of her body. She has a slight headache. But when she talks to her doctor and tells him she's not in pain, he just said to call back if the symptoms get worse. She starts to work again. It is now 3 PM. At 4:20 she is still at work and her symptoms get worse and more resemble classic stroke symptoms. She had decided to skip her improvisation class that night and was typing an email to explain her absence. Suddenly the words made no sense to her. Then she fell on the floor. Amy heard her fall and start crying. Symptoms are full-blown. Amy calls the doctor back to get an appointment for Maureen and the doctor told her to call 911. When the paramedics arrive to interview Maureen it is 4:50. Maureen can express herself with some difficulty. Although the paramedics take her to the emergency room at California Pacific Hospital, they don't think this is an emergency that merits lights and the siren. It takes 20 minutes to get to the emergency room. By this time three hours have elapsed since the onset of symptoms. At 6:20 they do a CAT scan. At 7:30 they do a spinal tap. They release her to spend the night with her father and his wife Judy. The next morning, June 7, as Maureen tried to eat breakfast, she started feeling strange. Then she couldn't remember anything. Her dad was so alarmed he carried her to the car and drove her straight back to the emergency room. By then Maureen could neither walk nor talk. 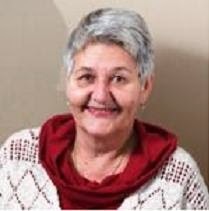 She finally was diagnosed with a massive stroke, but it was too late to give her the clot-busting drug that can prevent permanent damage. It has to be given in the first hours after onset of symptoms. 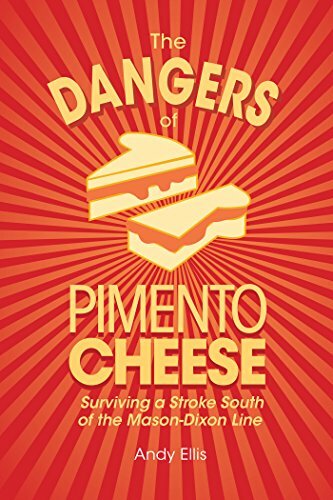 I plan to soon read some of these stories by and about others who have survived strokes. Some contain helpful information on recognizing early symptoms months before the onset of a stroke, as well as advice for stroke prevention. 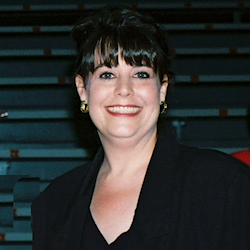 It amazes me how many of these stories were written by people only 33 -- like Maureen. The rest of the book was written after Maureen recovered enough to use words again. 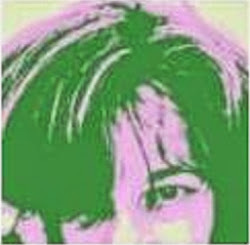 She had to completely rebuild her life and learn again everything she'd ever learned -- how to talk, the alphabet, words, how to read, how to write. Before she recovered any of these abilities, her father sent our regular updates on her progress to her circle of friends and extended family. These emails are part of the book, as are illustrations of some of Maureen's first attempts to write during her recovery. Although Maureen's recovery was much longer than she expected, she writes with a humorous and optimistic voice that won't accept defeat. As a result of that spirit and a lot of hard work, she accomplished much more than the doctors expected her to. 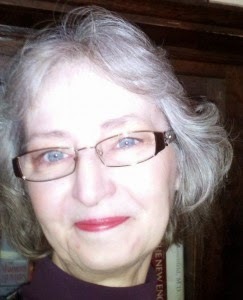 She now is able to live alone again, drive, and write. 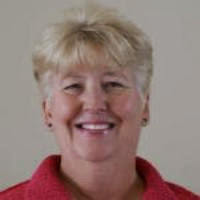 You can follow Maureen Twomey on Twitter. 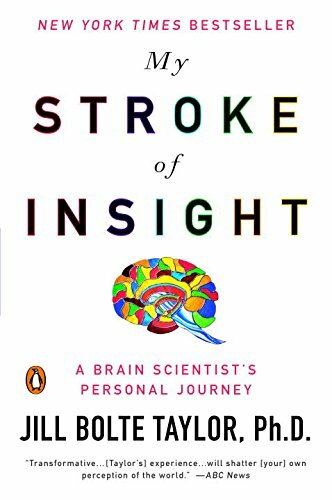 I read the book to see what a stroke looks like to the one who has experienced it. Maureen is good at explaining what it was like for her, day by day. Although much of the book is in her voice, some of it consists of copies of emails sent by her father, coworkers, and friends. She also includes a copy of her resume and a list of resources. There are a number of photos and scans of some of the work Maureen did as part of her rehabilitation. She even has scans of some pages she completed from Explode the Code, a popular phonics workbook I used to sell at homeschool conventions. I was thinking how hard it must have been for her to start over learning to read and write with disadvantages healthy children learning the same things don't have. I can't even imagine how difficult that would be. 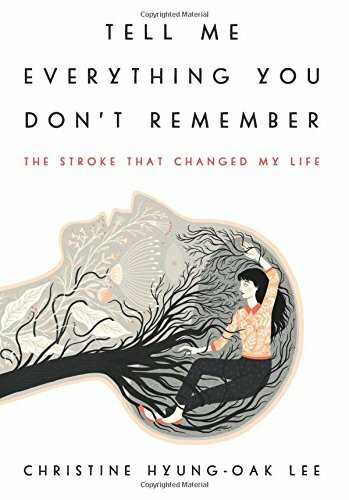 I'm glad I read the book and I recommend it to others who want a day-by-day look at what life is like for someone recovering from a massive stroke. Maureen tells her story in a matter-a-fact way with a touch of humor. 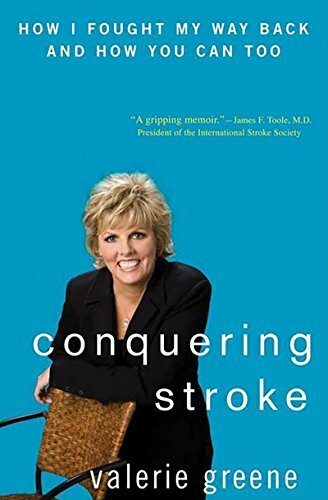 Since her stroke, she has moved back into an apartment, learned to drive again, participated in a walk for the Heart and Stroke group of the American Heart Association, and finished her book. She still can't run as she used to. The only thing I didn't like was that I had chosen to buy the ebook so I could start reading right away. On my Kindle Paperwhite the illustrations, especially the scans of Maureen's written work, were too small to see clearly. I suggest you get the paper copy of the book if you don't want to miss anything. In this case, the illustrations are an important part of the book. I am finally able to see them on the Kindle App for my iMac. I hope you will show support for Maureen by buying her book and leaving her a review on Amazon so that her book may start showing on the first page of an Amazon search for stroke survivor memoirs. That way more people may be able to find it. Also, why not follow her on Twitter? Have you ever had a stroke, known someone who survived one, or cared for someone recovering from a stroke? Is your experience similar to Maureen's? As Father's Day approaches, I have been looking for gifts for the fathers in our family. I typically look for things that a daughter can give because, well, I'm somebody's daughter. When I was little (actually even now) my Dad would tell me that I was (am) his little princess. There is such a wonderful bond between a father and his daughter. Not that Dads don't love their sons, but his girl or girls are so special to him. When my girls were little their Daddy doted on them and yes they were his little princesses. So with the princess theme in mind, I found a great gift for the Dad with daughters! It is something he can wear, comes in a variety of sizes and colors and it is perfect for just about any father. A shirt like this is great for a father of any age. He can be a young dad, middle aged dad or the dad of an older princess. No matter his age, he will always protect his special girl or girls. If a tee shirt isn't really something that your Dad will wear, there is an option to get a mug with the same sentiment. I feel blessed that my Dad is still with us. We have always had a very close relationship and I treasure it more as we both get older. We get together every Wednesday morning and go out to breakfast, we even have our special table at a local cafe. When I was a little girl and he was a young father, he used to take me to a little restaurant in our home town. It was the hang-out for the teens and young adults in the area. Dad would put money in the jukebox and then lead me to an open space and we would dance. It was magical! So, how about you? What do you plan to give to your Dad for Father's Day this year? Recently, I have attended a few special occasions and have been invited to others. I am always amazed at how some people can throw a themed party with all of the trimmings. I am especially delighted with the thought that goes into those party favors and gift bags that follow the theme. 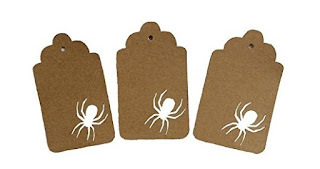 Then I ran across these awesome gifts tags by Nature Cuts. Although I have not recently thrown a party or hosted any type of gathering, I had to review these themed gift cards. 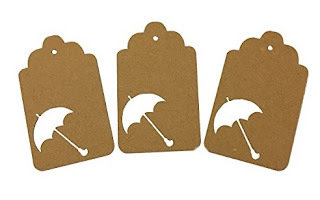 Nature Cuts offers handmade confetti and gift tags. While I've seen confetti used in very creative and beautiful ways recently, I am focused on the gift tags. Nature Cuts tags are handmade in Wisconsin, USA. 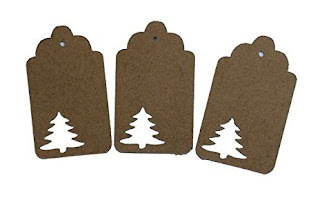 Nearly all of the hundreds of gift tags offered have a nature theme; animals, trees, birds, fish, flowers, and more. Having lived in Maryland for the past decade, I am especially drawn to the crab design. Gathering around a crab feast, with beer and friends is a way of life here. Special occasions here, such as graduations and goodbye parties, include crabs by default. I can imagine these crab gift tags put to good use at a good number of special occasions in this area. 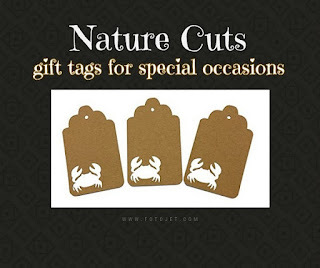 Nature Cuts tags can be found in their Etsy store as well as on Amazon. 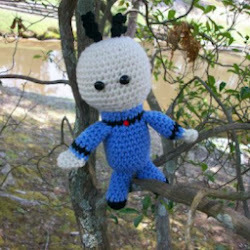 The Etsy shop has been open since 2014 and there are hundreds of good reviews. Or maybe Amazon is your favorite convenient mode of buying party supplies. Either way, there are many, many interesting and unique tags to choose from. Several of our Review This! contributors host parties, plan gatherings, and host for the holidays on a regular basis. 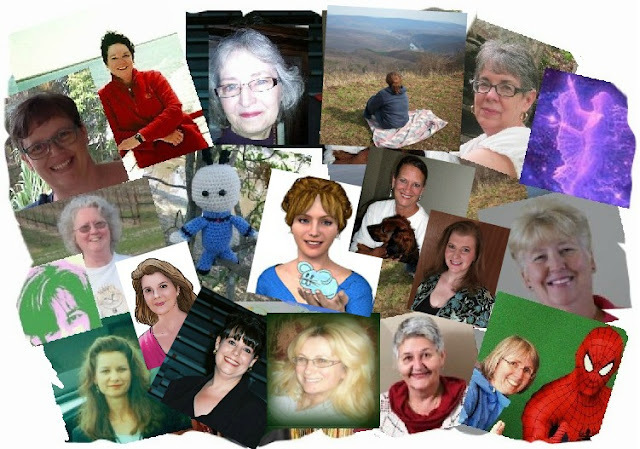 They share their expertise with party tips, decorating, and recipes here (click link then scroll down). If you enjoy hosting events and parties, I am sure you will find something interesting and helpful there. 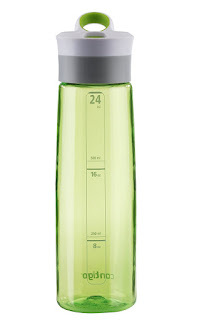 If you need to drink water consistently throughout the day, you'll love this water bottle. Without exaggeration, this is the ONLY water bottle I use! 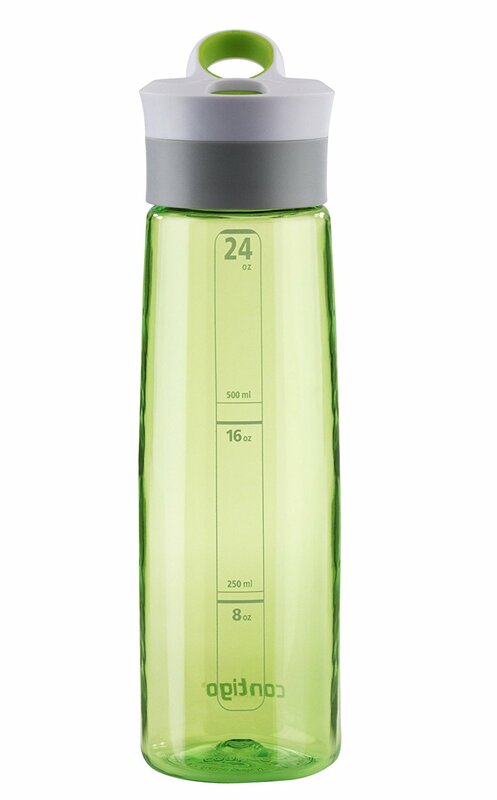 There are multiple reasons I call it the best, but before I list them, let me stress the number one feature that makes the Contigo Autoseal Water Bottle my fave: It's easy to carry around without the worry of spilling. 1. The handy carry handle lets you grab it with a couple of fingers so you can easily haul it around when you're carrying other stuff. For example, I have multiple places I work from in my home; the family room, at my desk, the living room, and in my bedroom. I'm constantly hauling my laptop from place to place and like to have my water bottle with me all day. The convenient carry handle makes it easy to carry the water bottle and laptop at the same time. 2. The autoseal on the water bottle lets you tip it any which way without the worry of spilling. Simply press to sip from it. Once you let go of the button the autoseal kicks back in and you have a non-spill container. 3. Another convenient aspect is being able to keep a water bottle beside my laptop without the worry of water accidentally spilling onto it. I'm extra careful about cups of liquid near my computer and the Contigo Water bottle eliminates that concern; if I happen to knock it over, it doesn't spill. 4. When I go to bed at night, I'm able to have this water bottle on the end-table without the worry of accidentally bumping it and having it spill. Also, during the night when I need a sip, I can reach over, grab it, and drink from a lying down position! Actually, I prop my head up just enough and take a sip without the worry of spilling - if I happen to drop it, no problem - won't spill. 5. Travelling in the car with this water bottle is easy-peasy. I simply fill it up, put it in the cup holder and off I go. Since you can drink from it using one hand, it makes it very convenient to use while driving. 6. Other perks: It's made out of FDA-approved, BPA-free Triton, which provides high impact resistance and won't stain or retain odors, is dishwasher safe and comes with a lifetime warranty. So yes, yes, yes, I recommend this water bottle. I own a pink (yes I said pink!) Dymo Letratag label printer and it really is my favorite hand held labelling machine and not just because the color brightens up my day! 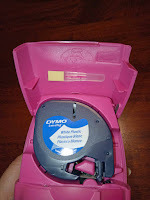 I brought my Dymo Letratag when my daughter started pre-school which means it's about a decade old and it's still doing it's job really well so this is an investment that will last. Now I'll be honest when I went to the shops to purchase a label printer I wasn't planning on getting this one, I didn't think I needed a hand held one, I was looking at one that would sit on my desk. The reason that I got the Letratag was because it was marked down and the couple of pink ones that were available were marked down further (apparently no one likes brighter colors, they want a subdued label printer!). I'm so glad of my decision because a hand held one is awesome and the only sort I now recommend. Not only is it a wireless, hand held label printer (it runs off batteries) which means it's portable it also fits comfortably in my hand. 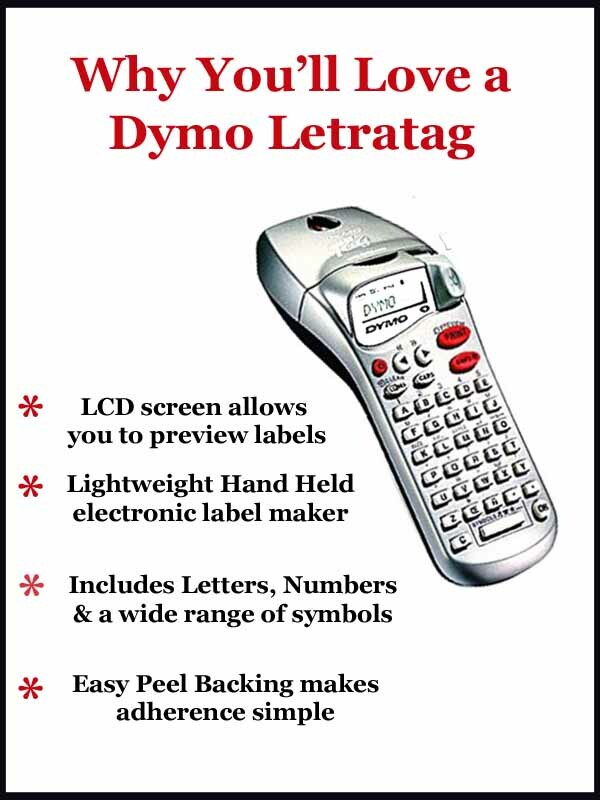 The way Dymo have shaped their Letratag allows it to nestle nicely in one hand as you type the label with your other hand. It is also a nice weight, altogether the most comfortable label printer I've ever held. 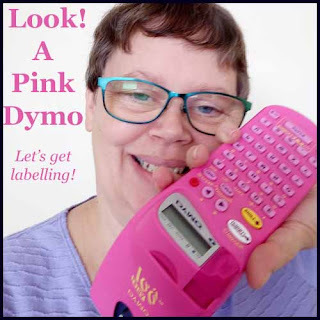 Dymo certainly know their business as they've been producing label makers for years - can anyone else remember the vintage Dymo label maker that had a dial on it and you had to click on each letter (or number)? My mum had a red one from memory. As kids we thought it was great fun! The batteries are located in the back, you simply push down on the bottom of the machine (where there's an indent) to release and the back comes off. 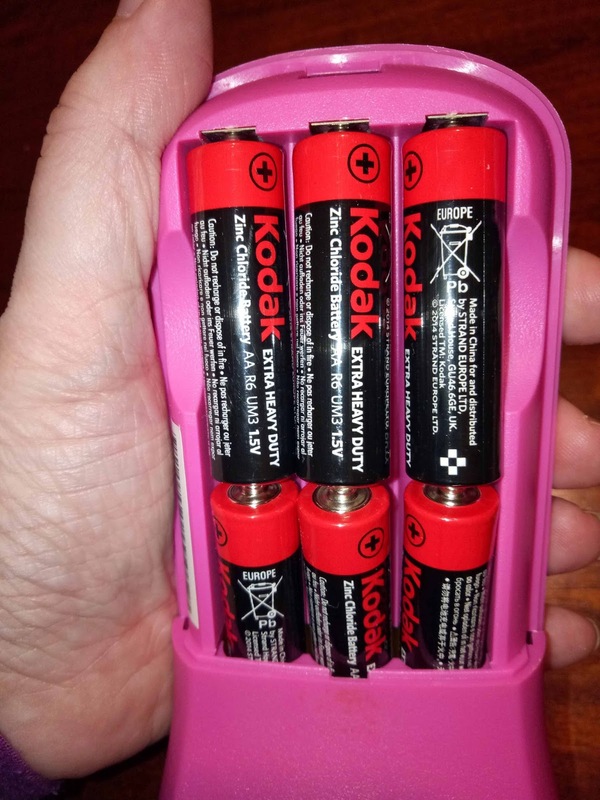 As you can see it takes 6 AA batteries which I thought seemed a lot at first, but I've only changed them twice in about 10 years so in my mind that is pretty good! I do use my label maker quite a bit so I'm glad that it's economical to run. 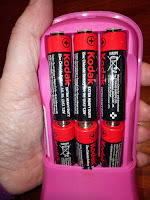 If you can change the batteries in your television remote then you can change these! Now what are the labels printed on? Well unlike some other machines you don't need to add ink and tape as Dymo have combined the two in a little cartridge. At the top of the machine there's a flap that you simply flip up to reveal the cartridge. When one is finished you simply pull it out and put another one in. There's no threading or anything it just pops in - not quite as easy as popping a pop tart into the toaster, but not much harder! Now I've always used the plastic labels as I use them to label containers that are going into the freezer and I'm not sure that paper labels would work that well for this job. There are a range of different types of labels available from plastic to paper and metallic to polyester. There are also different colors that you can choose from. I've only ever used the plastic black print on white labels. I have read that people use different types of labels for different jobs - I'm too lazy for that I pop my cartridge in and leave it until it runs out! If you're looking to get organized and need a tool like this the Dymo Letratag is hands down my favorite hand held labelling machine and I can't recommend it enough. 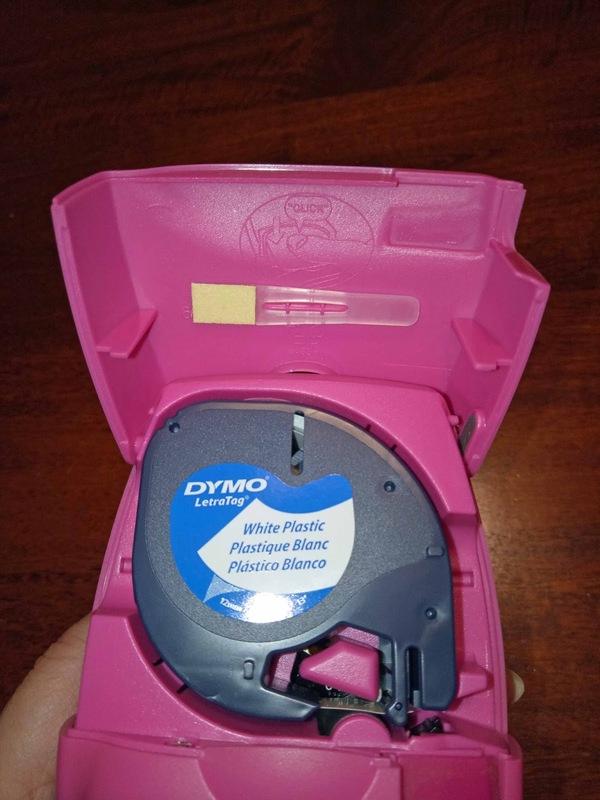 Now I can't find a pink Dymo Letratag available anywhere at the moment, but I have found a few in other colors which I'm sure will work equally well for you. These other colors just may not cause you to smile as you pick them up! Guardians of the Galaxy is a truly fabulous Marvel movie that I would recommend for anyone! The movie is a mix of sci-fi, great animation, several engaging stories & witty dialog. There were several times in both movies, Guardians of the Galaxy & Guardians of the Galaxy 2, where I couldn't help myself and laughed out loud. It is really wonderful to walk away from a movie feeling like you had a great time, not to mention the characters feel like friends. For Mother's Day, my son surprised me with the DVD of the original Guardians of the Galaxy DVD and movie tickets to see Guardians of the Galaxy 2. We spent the afternoon together watching the Guardians. We started with the DVD and then immediately went to the theater for the second movie. 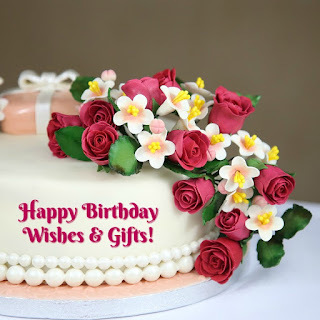 What a wonderful day and the perfect way to celebrate! I highly recommend watching the movies back to back. (Plus Bonus Features)The original DVD introduces you to all of the main characters and shows us exactly how several unrelated outlaws end up banding together to become the "Guardians of the Galaxy". The movie starts with Peter Quill as a child listening to 80's music while sitting in a waiting room at the hospital. His mother is dying from a brain tumor and his whole world is about to be turned upside down. When his mother dies, he runs from the hospital devastated by the reality of what just happened. It is at that very moment that he is abducted by Yondu and his team of ravagers (thieves) from another planet. We do find out later that they were hired by his father to retrieve him from earth when his mother dies. We are quickly fast-forwarded 26 years to Peter as an adult and we discover that he has been raised by Yondu as a ravager. Peter seems happy enough, but it is a time of unrest in the galaxy. A peace treaty has been signed between the Kree and Xandar, but not everyone is willing to adhere to that treaty. Ronan is a powerful Kree who wants more than revenge, he wants complete annihilation of all Xandarians. Yondu's group of pirates have been commissioned to "acquire" a precious orb. However, Peter decides to go alone to steal the orb. Once he has the orb in his possession, he does have to battle Ronan's warriors to keep it. When Peter goes to the Broker to sell the orb and tells him about his battle with Ronan's army, the Broker no longer wants anything to do with the orb and forces him to leave his shop. Peter meets Gamora, who has been sent by Ronan to retrieve the orb. A tussle for the orb leaves both Gamora and Peter vulnerable to bounty hunters who want to capture Peter for the reward offered by Yondu for the betrayer, Peter. And, this is how we meet Rocket (the raccoon to earthlings) and Groot (a live tree). They are all arrested by Nova Corps officers and sent to Kyln (prison). Because of her association with Ronan, the prison is full of inmates who want to kill Gamora. One of those inmates is Drax. Now, we have been introduced to the characters who become the Guardians of the Galaxy: Peter Quill, Rocket, Groot, Gamora & Drax. They form an alliance to break out of Kyln, but that alliance becomes a "family" who battle Ronan for possession of the orb and it's contents, an infinity stone. Possession of that infinity stone ensures the salvation of the entire planet of Xander. 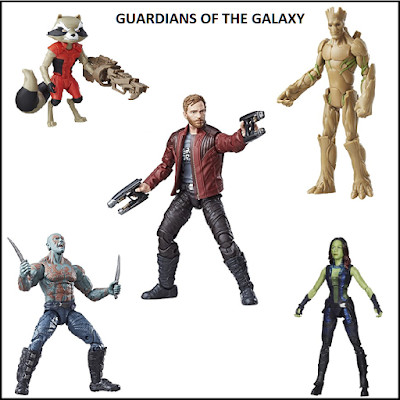 Marvel Guardians of the Galaxy Vol. 2 II Movie Poster GLOSSY FINISH Guardians of the Galaxy 2 picks up where 1 leaves off. The Guardians are now an official team of Marvel defenders. They have been hired to protect valuable batteries from an attacking monster. Their payment for that job is given in trade form. They are paid with Gamora's sister, Nebula. Rocket can't seem to resist the temptation to steal a few of the batteries and the Guardians are pursued by the Sovereign. They are forced to crash land after they are saved by a mysterious ship. When the unidentifiable ship lands, Peter Quill finds himself face to face with his father, a man he has never met before. Ego (Kurt Russell) invites Peter to his planet. Peter, Gamora & Drax leave Rocket to repair their ship and go with Ego to his planet. A lot of secrets are revealed on Ego's planet and Peter has some difficult realities and choices to make. Both of these action packed movies are filled with witty dialog, lovable characters and scenes of strong emotions. Guardians of the Galaxy 2 forces the Guardians to come to terms with a lot of their own personal relationships and the "people" who they really love. One additional point of interest about Guardians of the Galaxy 2 is the introduction of Sylvester Stallone as Starhawk, the overall commander of the Ravagers.